We have a change to our scheduled events for October. The Native Plant Garden installation at Indian River Park is being rescheduled to Saturday, October 25th. Instead on Saturday, October 4th, at 9:30 am we will be doing Adopt-A-Spot Gardening at Indian River Bridge. We will do some fall gardening and maintenance around the bridge and the newly planted trees including weeding, composting, mulching, and perhaps adding some new plants, etc. Please wear closed-toe shoes, a hat and bring work gloves. If you can, bring any gardening tools such as like rakes and shovels that are helpful in planting. Participants under 18 years of age must have adult supervision. We will probably meet at Oaklette United Methodist Church, 520 Oaklette Dr, although this meeting location may change - we'll let you know if it does change. On Thursday, October 9th, 7 pm, join us at our monthly meeting for a discussion with Chesapeake City Councilmember Suzy Kelly. We'll talk about local economic development and in particular about the Indian River Shopping Center. There will be light refreshments and door prizes after the discussion. We had our big cleanup today around the Oaklette/Indian River Road Bridge today. Ten hardy volunteers came out this morning picking up trash along the approaches to the bridge, collecting more trash from under the bridge, and also do a lot of weeding around the four gardens at the bridge corners. A couple of volunteers ventured out on the river by canoe to collect trash. Altogether we collected 17 bags of trash by noon. We had lots of bottles and cans, food wrappers, wayward plastic bags, and of course, the abysmal cigarette butts. We also removed fishing line, six pack rings, a deflated balloon, pieces of clothing, and even an arrow. We owe our volunteers a big round of gratitude for coming out making our neighborhood more attractive and removing hazards that could injure wildlife and pollute our river. But we could have used twenty more volunteers to fully sweep Indian River Road across the City of Chesapeake. - On Saturday, October 4th, we will be planting a native plant garden at Indian River Park. Bring your gardening tools and give us a hand! - And on Thursday, October 9th, is our next regular meeting. We'll have Councilmember Suzy Kelly with us and we'll get to ask her questions about local economic development - and about the Indian River Shopping Center. 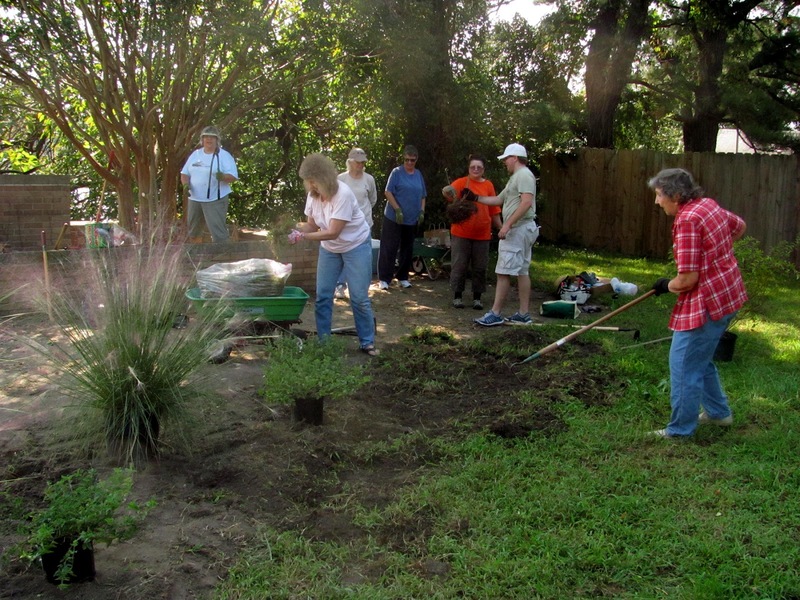 We hope you can participate in future events and help make our neighborhood a better place.